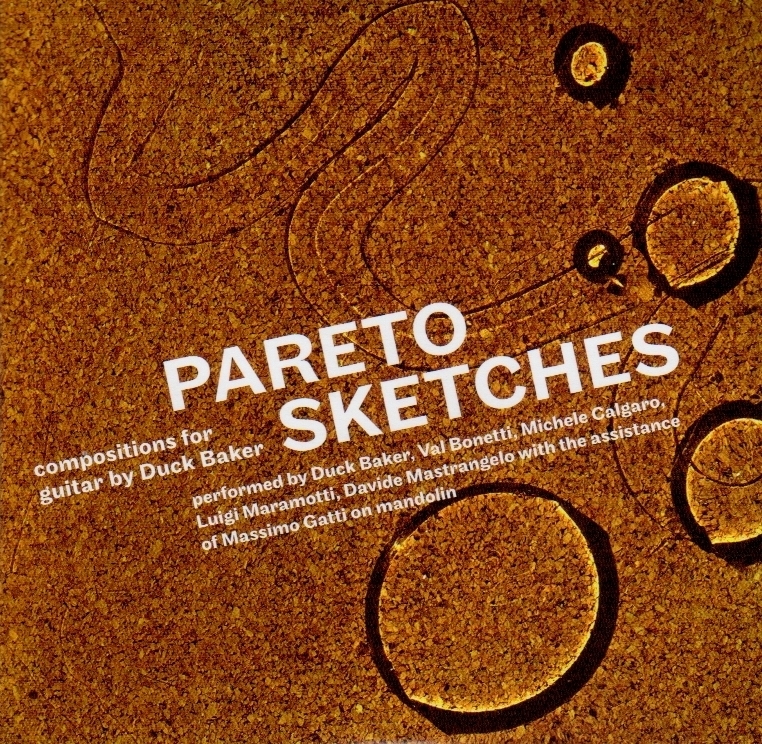 This book presents the 21 pieces that were included on the 2-CD set Pareto Sketches, all of which were composed by Duck Baker. The recordings consist of solo and duo performances by Baker and four other guitarists. Mandolinist Massimo Gatti also joined for duets with four of the guitarists. The music here is what the players involved worked with, not necessarily what they performed; since many of the tunes were jazz-oriented, not all of the performances followed the original arrangements 100%. MP3 guide tracks that give a very basic idea of how the tunes sound are included.